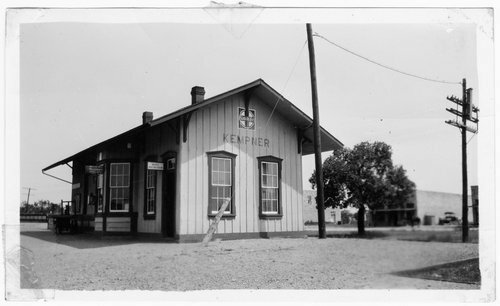 This black and white photograph shows the Gulf, Colorado & Santa Fe Railway's depot at Kempner, Texas. This depot had segregated waiting rooms for whites and blacks. The building was constructed in 1898.